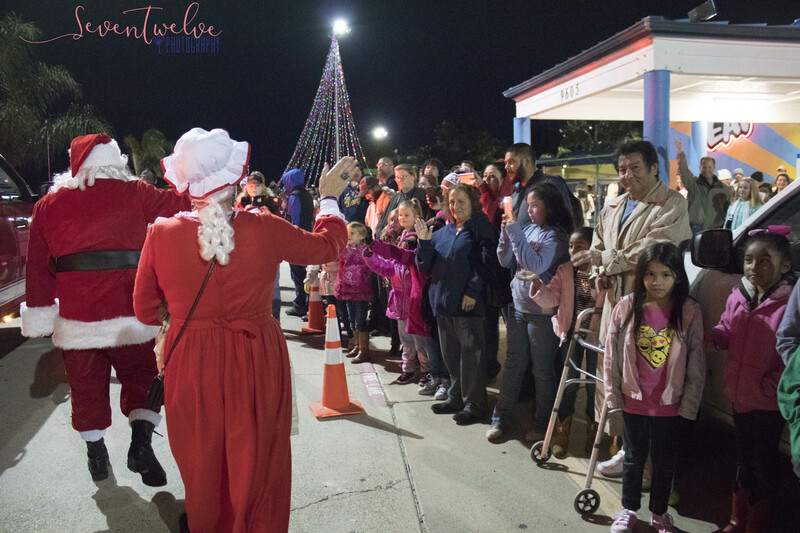 Santa Arrives December 8 in Flour Bluff for Community Christmas! 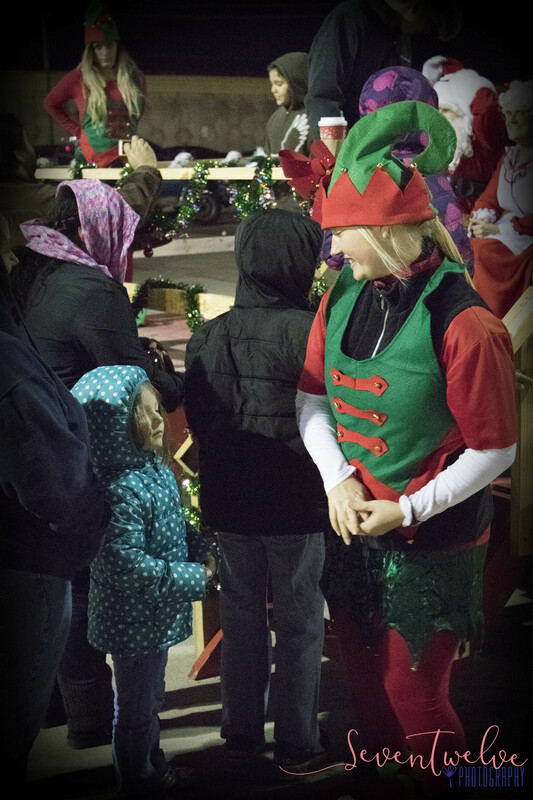 The Flour Bluff Business Association would like you to join us on Friday, December 8, 2017, in welcoming Santa and his elves to Funtrackers Family Fun Center located at 9605 S. Padre Island Dr, Corpus Christi, TX 78418. 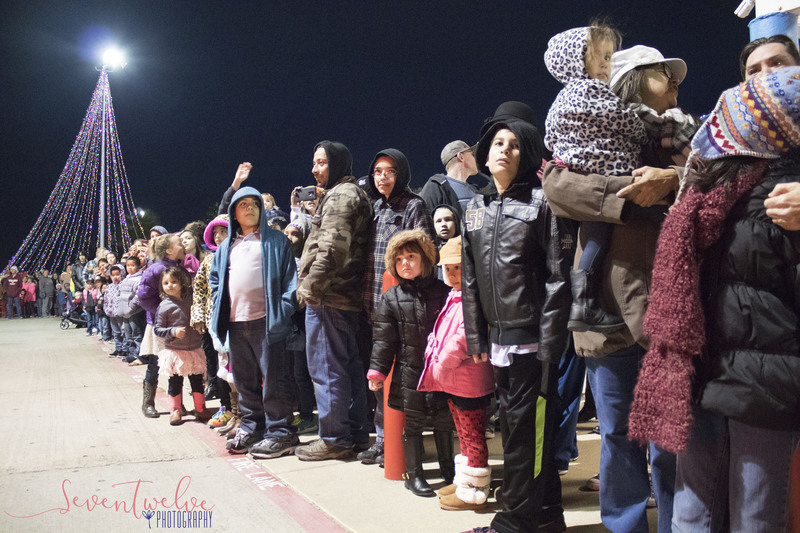 Santa is scheduled to arrive at 6:00 p.m., and he is coming with gifts! Every kid will get a chance to meet Santa for a picture and a present. We will have entertainment throughout the evening including a Cake Walk sponsored by the Children’s Center, face painting, a community sing-along, and much more! “We love this community where we live, and we want to give back by giving to the children who are here. We are so happy to announce that HEB Plus will be donating $1500 toward the purchase of toys for the kids. 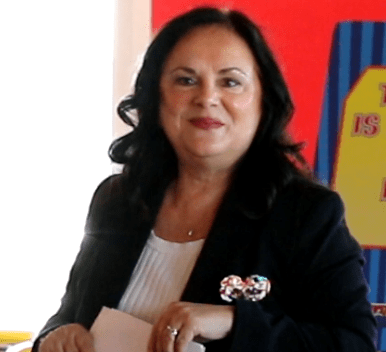 We hope all business owners will consider setting out a toy box at your place of business to collect toys for the kids or will join us on the 8th to help with the event,” said FBBA President Jennifer Welp. Since the announcement, others have donated to the toy drive. Grace Community Church gave $1000. County Commissioner Brent Chesney made a personal donation of $500, and Commissioner Mike Pusley donated $250. Funtrackers is not only co-hosting the event, but they are donating lots of toys for the little ones. For anyone who would like to make a toy donation, FBBA toy boxes are located at Colonia del Rey on Waldron Road, Edward Jones on Waldron next to Papa Murphy’s, the Children’s Center on SPID, Navy/Army at SPID and Flour Bluff Drive, Maybelle’s Market at Turtle Cove Shopping Center, and Funtrackers on Flour Bluff Drive. The FBBA wants to thank all who have generously given time, talent, or donations to make this fun-filled, community event possible. “Don’t let anybody tell you that we’ve dodged a bullet,” said Hunter referring to Hurricane Harvey, a storm that in just 56 hours grew from a regenerated tropical depression over the Gulf of Mexico into a Category 4 hurricane that made landfall in the area late on August 25, 2017. 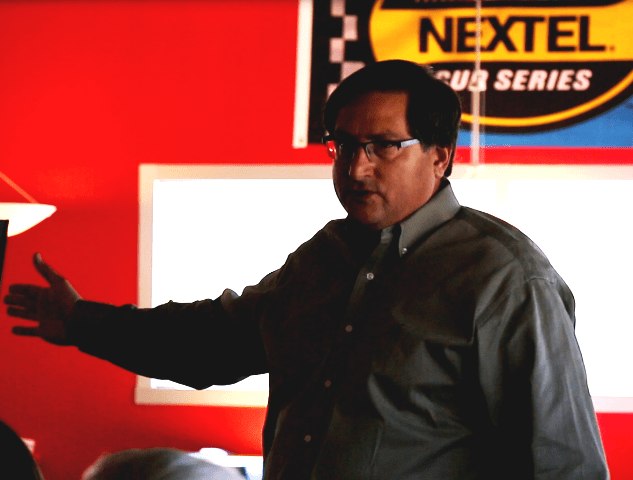 “We were the first to be hit by a Category 4 hurricane, and I have never seen such togetherness and camaraderie as we experienced in our community immediately following landfall,” he told a group of about 30 people at the Flour Bluff Business Association regular monthly meeting held October 11, 2017, at Funtrackers in Flour Bluff. In attendance were council members Paulette Guajardo and Greg Smith, County Commissioner Brent Chesney, Pct. 2 Justice of the Peace Thelma Rodriguez, and FBISD school board members Michael Morgan, Jennifer Welp, and Shirley Thornton. “Port Royal looks like a MASH unit with outdoor showers, management under a tent with computers, outdoor bathrooms. But, guess what? They’re holding a press conference at 1:30 today to give a positive plan of when they’re going to reopen. This is how the Coastal Bend and South Texas are responding. I want everyone to know who we are and how we’re setting the example for the rest of the nation,” he said referring to the multiple natural disasters occurring across the United States. Hunter went on to say that he and Brent Chesney had visited almost all of the towns in the Coastal Bend hit by Harvey. He explained that there is still a great deal of work to be done and that people showing up with tools ready to work is what is needed more than anything else. “Flour Bluff must be applauded. They took in Port Aransas kids. I don’t think the state realizes what you’ve done. You’ve used your local tax dollars to take care of people. You, the taxpayer residents, took the burden. For that I am grateful, and it shows what a great community you are. Gregory-Portland did it for Rockport. You need to be helped, not forgotten. So, I’m going to ring the bell more than you’ve ever heard over the next two years. I’m talking about school funding. We fund schools through property taxes, but you can’t levy a property tax if there’s no property. I get a kick out of seeing all the appraisal district vehicles out there. What are they appraising? Some people in Port Aransas received tax bills last week on houses that are no longer standing. In the next legislative session, we’re going to have to take up school funding to figure out what the real formula should be,” said Hunter. He also spoke of how illogical it is to impose the state test on districts affected by the storm. He added that he was making no headway in this area. Seven days after the storm, the health department called Hunter to let him know they would be spraying for mosquitoes. “They were going to spray only as far south as Refugio. I asked them if they knew who got hit first,” he said. As a result, they sprayed Nueces, San Patricio, and Aransas counties. Hunter then spoke about the top complaints after Harvey. The first two involved FEMA and TWIA. The third was the Red Cross and their refusal to serve Ingleside. “The fourth was debris hauling, but that seems to be going since most of the haulers have contracts with FEMA. At one point the road to Port Aransas had a quarter mile long, 25-foot high pile of debris.” Hunter also explained that he personally experienced eye abrasions from irritants in the area and that asbestos fibers that are floating around could be the problem. “If you have concerns in any of these areas, let my office know. And just know that there’s a lot of fraud and scams going around. If someone is knocking on your door asking you to sign something, think twice,” he said. Hunter had such an experience because of the Equifax security breech. He received multiple notifications that he had made a FEMA claim, which he had not. A group got his information and sent in two FEMA applications with his identifying information and address but a fake phone number and email. “What happens is that FEMA issues checks to the Green Dot Bank. Even when I got the Texas Rangers to contact FEMA, they wouldn’t talk to them. This is your tax money being sent to thieves,” he said. He explained that the Green Dot Bank is an internet fund where the money is deposited and then just disappears. He told of how these groups also get credit cards in the victims’ names and do an address switch through the U.S. Post Office. “You need to have a banker do a credit check to see if anything has been opened in your name without your knowing it,” Hunter suggested. “The final thing is that we learn from these situations. I will be working quite a bit with the schools to make sure their protected in the next session. I am worried that we’ll have public officials from other areas of the state trying to tell us what to do, which we don’t need. We’ll have funding proposals that don’t apply well here. We’ll have new thoughts on education and curriculum that don’t apply here. We’ll have new catastrophe management concepts that don’t apply here. And I’m sure we’re going to see wind storm reform come back. So, just be ready. My plan is to protect the area,” Hunter said. He also reminded everyone that desalination would be discussed at the Ortiz Center on November 2 with an update on Hurricane Harvey to be given on November 14, from 10:00 a.m. to 3:00 p.m. John Sharp of Rebuild Texas will be coming in to discuss the aftermath of the storm in Nueces, Kleberg, Aransas, and San Patricio counties. Flour Fest: will be held at Parker Park on Graham Road from Noon to 8:00 p.m., on Saturday, October 28, 2017. 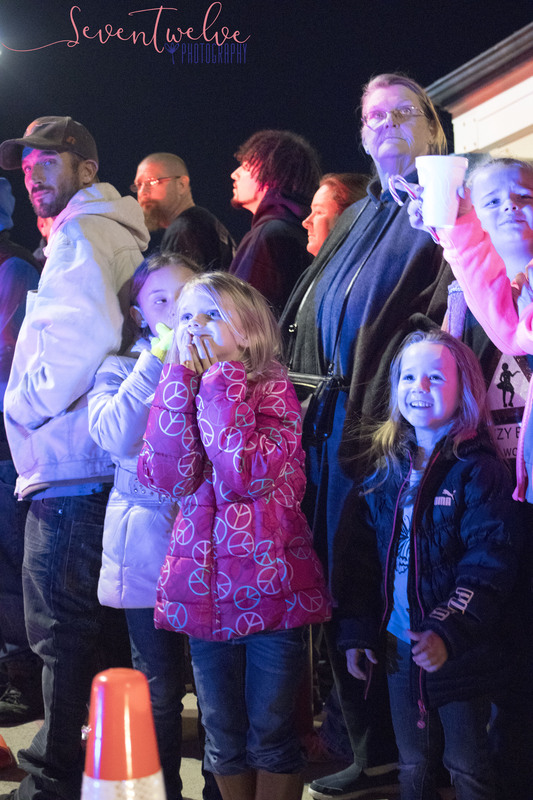 This family-friendly event will feature live music, food trucks, Kids Zone, local vendors, safety demonstrations by ESD#2 Firefighters, and the Flour Bluff Citizens Council kid-and-dog costume contest, Fur Fest. 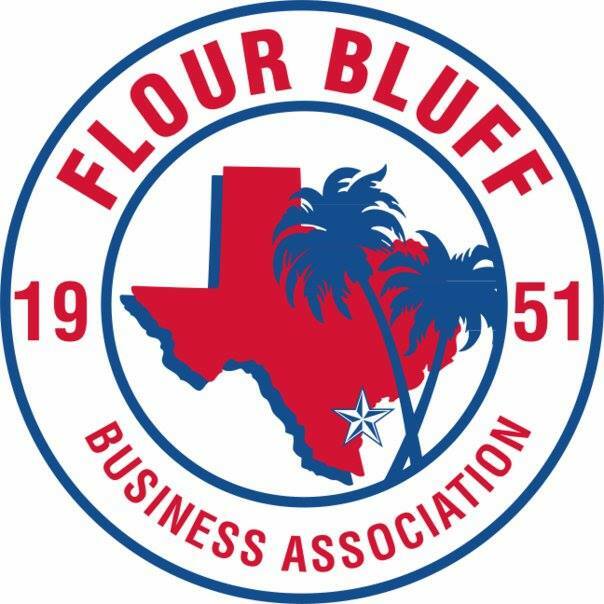 FBBA would like to thank the Flour Fest sponsors: County Commissioners Brent Chesney and Mike Pusley, Michael Morgan of State Farm, Roshan Bhakta of Candlewood Suites, Javier Wiley of HEB, Dr. Hassan of the Children’s Center, Walmart #490, Whataburger #123, and the Flour Bluff Citizens Council. 3:00 Fur Fest: This event is open to kids 12 and under with dogs of any age. Prizes will go to Scariest, Cutest, Funniest, and Best Couple. Dogs must be on leashes at all times. No biters, please. Judging begins at 3:00 p.m. Prizes awarded immediately following judging. Tire Recycling Program: The FBBA, in conjunction with Nueces County and DeGoLa Resource and Conservation Development District, will host a tire recycling program on Saturday, November 4, 2017, from 9:00 a.m. to 5:00 p.m., to The FBBA encourages everyone to take part in this program since the city will not pick up tires during the brush and bulky item pick up. FBBA Board Elections: Three board members are up for re-election. They are Roshan Bhakta, Tom Hollingsworth, and Jonathan Vela. Dr. Hollingsworth will not be seeking re-election. Elections and succession planning will take place at the November general meeting. Nominations may be submitted to Jennifer Welp. Membership Drive: If a new member joins in the last quarter of the year, the annual dues of $65.00 will include the following year. Community Christmas: This event will take place December 8, 2017, at Funtrackers. Toy boxes will be set out in November at area businesses. Let Jennifer Welp know if your business is willing to accept a box for toy donations. This is an opportunity for the businesses to give back to the community we love so much. 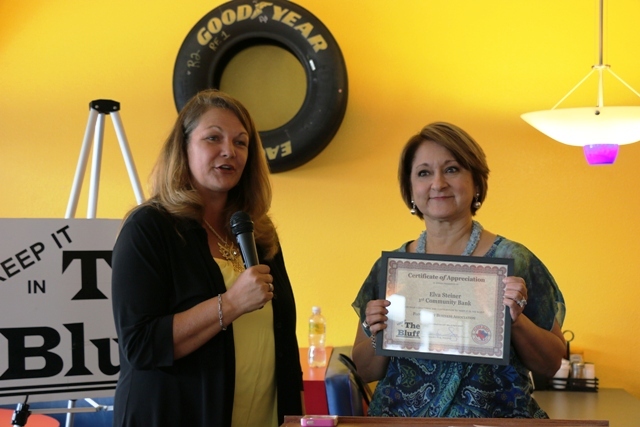 Assistant Bank Manager Elva Steiner of 1st Community Bank accepted the Spotlight of the Month award from Flour Bluff Business Association president, Jennifer Welp, at the regular FBBA meeting held April 12, 2017, at Funtrackers in Flour Bluff. First Community Bank is a traditional community bank. Their employees are shareholders of the bank, which means they have a personal interest in creating satisfied customers. Deposits are reinvested in homes and businesses right here in South Texas, helping families and business owners succeed. “1st Community is committed to this community,” said Steiner. For more information about 1st Community Bank, visit the Corpus Christi / Padre Island Officers Miles Graham or Elva Steiner at 14254 South Padre Island Drive, Corpus Christi, Texas, or call (361) 949-9310. The bank lobby is open Monday through Thursday 9:00 a.m. to 6:00 p.m. The drive-thru hours are Monday through Friday, 7:30 a.m. to 6:00 p.m. The FBBA welcomed newly elected Pct. 2 Constable Mitchell Clark as the keynote speaker. 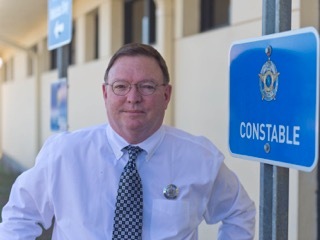 Constable Clark outlined some of his new programs, such as Walk with the Constable and Talk with the Constable, as part of the changes he is making in his department. 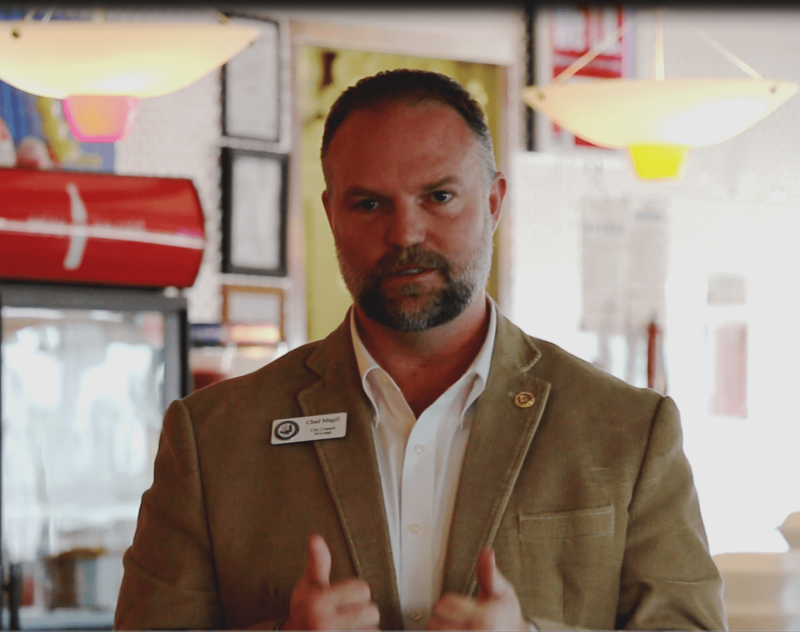 “We want to get out into the community and connect with the citizens,” said Clark. The constable will be speaking to the residents of Flour Bluff at the Flour Bluff Citizens Council meeting on April 17, 2017. (Watch for a separate article on Constable Mitchell Clark and his plans for the community. He is a regular contributor to The Paper Trail News, as well. In conjunction with the Earth Day event, the FBCC, with the help of District 4 Councilman Greg Smith and City of Corpus Christi Solid Waste Director Lawrence Mikolajczyk, have secured four Litter Critter bins. The theme is “Beautify Your Block.” The FBCC encourages all citizens to take part in both large and small ways. Grab a couple of trash bags and ask a neighbor to help you walk your block and pick up the trash. Join HEB and the Flour Bluff Business Association to clean up Waldron Road. Help an elderly or disabled neighbor do some spring-cleaning. Get a group together to clean a neighborhood park. The Litter Critter will be available on Saturday, April 22, 2017, to drop off brush and bulky items from 8:00 a.m. to 3:00 p.m. Volunteers will be available to assist with drop offs. Anyone interested in helping with the program should contact the Flour Bluff Citizens Council at fbcitizenscouncil@gmail.com. Everyone is asked to adhere to the rules concerning what may be placed into the bins. Prohibited items include: appliances, tires, household hazardous waste, construction materials, dead animals, flammable or hazardous materials, ammunition, asbestos. Household hazardous waste consists of items such as anti-freeze, solvents, brake fluid, transmission fluid, batteries, cleaning solvent, polishes, oven cleaner, pool chemicals, paint, paint thinner, paint stripper, spray paint, weed killer, pesticides, insecticides, sprays, dusts, poisons, gas, motor oil and filters. Construction materials are defined as sheet rock, shingles, lumber, fencing, concrete, brick, rocks, stones, dirt, soil. May 10, 2017 General Meeting: Keynote speaker will be USS Lexington Executive Director Rocco Montesano. 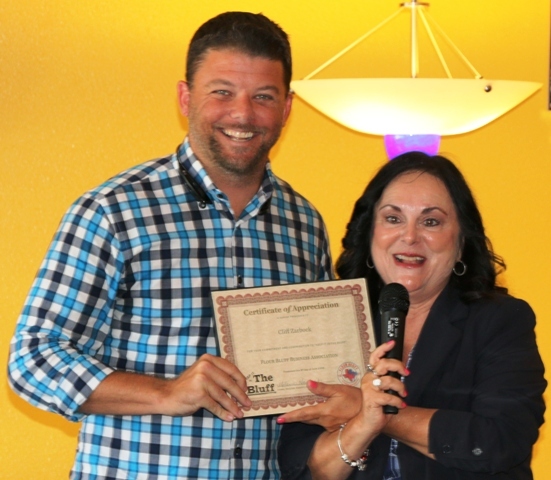 Flour Bluff Business Association Holds November Meeting: Community Christmas Is Coming! Before welcoming keynote speaker Margie Rose, City Manager of Corpus Christi, FBBA President Melanie Hambrick called the regular meeting to order at noon. First, she welcomed all members, guests, and dignitaries. She went on to thank Funtrackers for allowing the association to hold their monthly meetings at the Raceway Cafe’. Hambrick encouraged everyone to access the FBBA website to stay abreast of what is happening within the association. 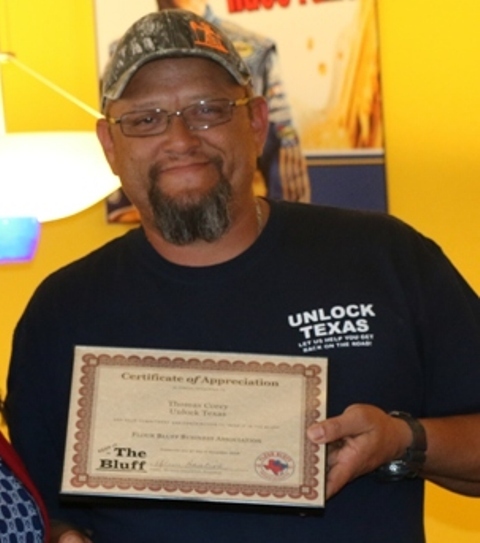 Thomas Corey, owner of Unlock Texas, was named the Spotlight Business of the Month. Unlock Texas is owned and operated by Thomas Corey. 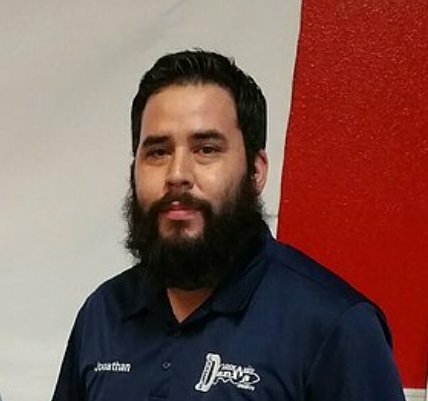 With over 10 years of experience, he provides locksmith services, tire changes, jump starts, and fuel delivery. They serve Corpus Christi and surrounding areas 24 hours a day, 7 days a week. Elections for the Board of Directors was held. Jennifer Welp, Jeff Rank, and Shirley Thornton are up for re-election for 3-year terms. No additional candidates submitted their names for consideration. All members in attendance filled out and turned in paper ballots. New board members will be inducted at the FBBA mixer on December 14, 2016. Directors will take office in January 2017. Jeff Craft, publisher of The Flour Bluff Messenger, announced that he is celebrating the first anniversary of the newspaper. Craft went on to say that he will begin publishing a paper every two weeks instead of monthly. He encouraged everyone with a business in Flour Bluff to advertise in the Messenger. Ads run for as little as $30 per month. Melanie Hambrick thanked HEB for their generous contribution to Community Christmas. Javier Ramirez was introduced as the new Edward Jones financial adviser working out of the office of Melanie Hambrick on Waldron Road. Anyone wanting to help with the Community Christmas event may contact Jonathan Vela, Events Coordinator, at 361-434-0332. Next General Meeting: The next meeting will be a mixer at 6:00 p.m. on December 14, 2016, at Candlewood Suites. You Don’t Want to Miss Flour Fest on September 17! On Saturday, September 17, 2016, from noon to 6:00 p.m., at Funtrackers in Flour Bluff, this small but tight community will come together to celebrate homecoming week and 65 years of the Flour Bluff Business Association. You don’t want to miss this! 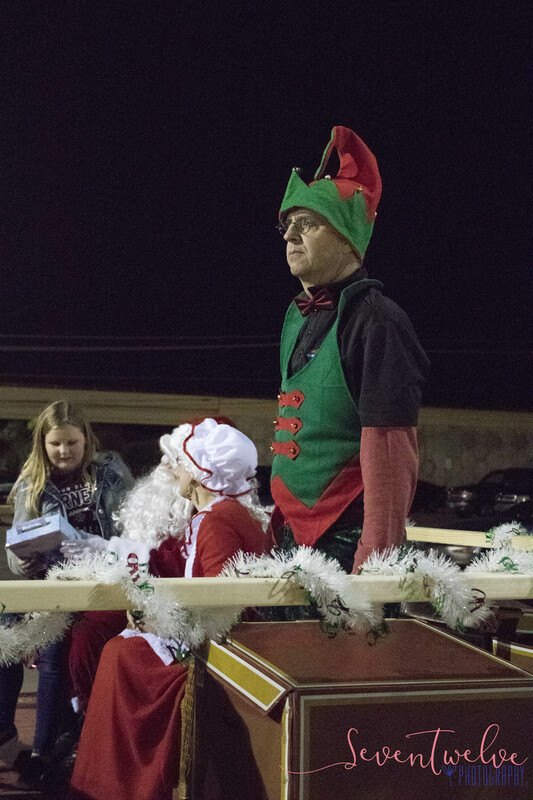 Our community is one rich in history from its unique name, a result of the Pastry War between France and Mexico, to its yearly Santa float that still winds it way through the streets of Flour Bluff bringing candy and smiles to all in the Christmas season. There is no place like Flour Bluff! The FBBA will commemorate Flour Bluff’s role in this war by having its own Pastry War, a pastry eating contest. It is open to people of all ages. All the contestants must do is sign up at the FBBA table for the battle that begins at 3:30 p.m. Prizes will be awarded for winners in each contest. If you love pie and pastries, this could just be the event for you! Our local celebrities and candidates for local offices are encouraged to take part. Aprons and napkins will be provided. Just bring an appetite! Of course, the Flour Bluff story will be part of the event. Greg Smith, lifetime resident and descendant of the Dunn family who settled the area and ran cattle on Padre Island, will tell our story at 12:20 p.m. following the opening ceremonies. Live music will be a major part of the day. The FBBA welcomes Michael Burtts, Cat House (award-winning blues power trio from Corpus Christi), and Jimmy Spacek (considered the Godfather of San Antonio blues). Coastal A’s and Rods will have cool cars and trucks for all to “ooh” and “aah” over, while the FB Fire Department (ESD#2) will let you take a whack at an old car to help raise money for the Santa float, a tradition of Flour Bluff that continues to bring smiles to the faces of young and old alike. Free game/ride cards for the first 200 kids! Coastal A’s and Rods Show! Take your frustrations out on an old car while raising money for the FBFD Santa Float! 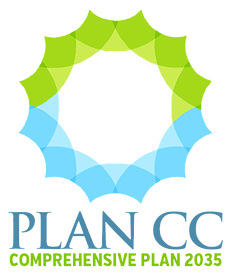 Sign up for the newly-formed Flour Bluff Citizens Council! Pastry Wars Pie-Eating Contest for kids and adults! Spin the roulette wheel to win Keep It In the Bluff memorabilia (t-shirts, koozies, stress balls), Whataburger coupons, Walmart gift cards! After recognizing Vela, Hambrick moved on to a report on panhandling in the city and the new ordinance that goes into effect in March. She explained that the ordinance does not include all of Corpus Christi because city-wide restrictions have been deemed unconstitutional by the courts across the nation. Hambrick, who serves on the Advisory Council on Homelessness, Mental Health, and Substance Abuse, voiced a personal concern: “I am right next to Papa Murphy’s. We have a lot of panhandling issues.” Hambrick explained that several initiatives are being put in place to include the entities that serve the homeless. She explained that citizens should re-think handing cash to the homeless since the research shows that this money is typically used to support bad habits. It was suggested that gift cards, pre-packaged snacks, and bottles of water or sports drinks be given in lieu of cash. “Keep the Change” signs are going up around the city to remind citizens to donate their dollars to the charitable organizations, such as Metro Ministries, Timon’s, and the Salvation Army that work to feed, clothe, and house the homeless. “Although we empathize and understand and want to help, let’s not support bad habits,” Hambrick suggested. The Spotlight of the Month went to Javier Wiley, general manager of the Flour Bluff HEB on Waldron Road. Wiley explained the recent changes to the store, which was built eight years ago. “We added close to 4000 new items, and when new items are added, something goes. That’s just the way it is,” said Wiley. “A lot of the changes came from customer feedback.” Wiley gave the example of how the chips and beer aisles are now separated. Other changes include a new Healthy Living Department with bulk bins and a gluten-free section with a freezer section to be added. The second area is related to how streets are chosen for repair. 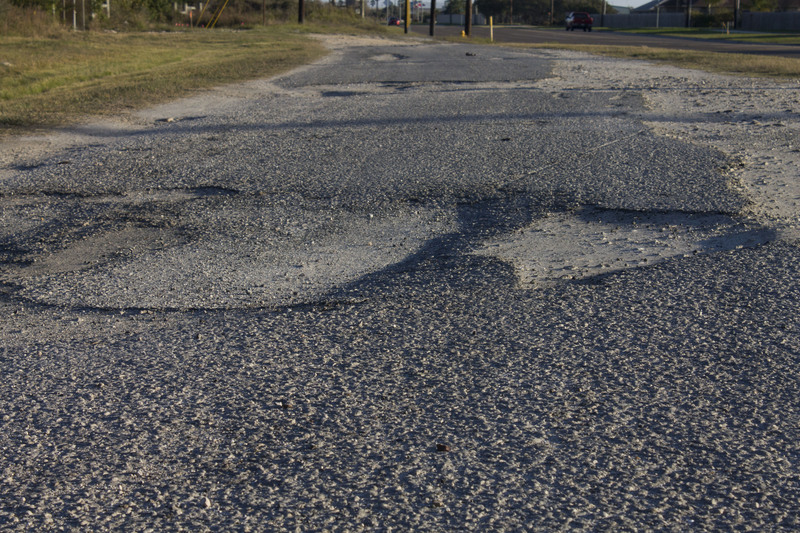 “The city needs to expand information systems and their processes to be proactive so that they keep lists in mind.” Taubman said that PCI (Pavement Condition Index) data is not always indicative of actual street condition but is currently the primary source for deciding which streets get fixed. He said the committee is asking the city staff to look into a better way of looking at street condition, keeping track of street problems and work, and working from lists created by city personnel who actually look at the streets and assess pavement condition, ride quality, and risk. “There’s no substitution for looking at the streets. 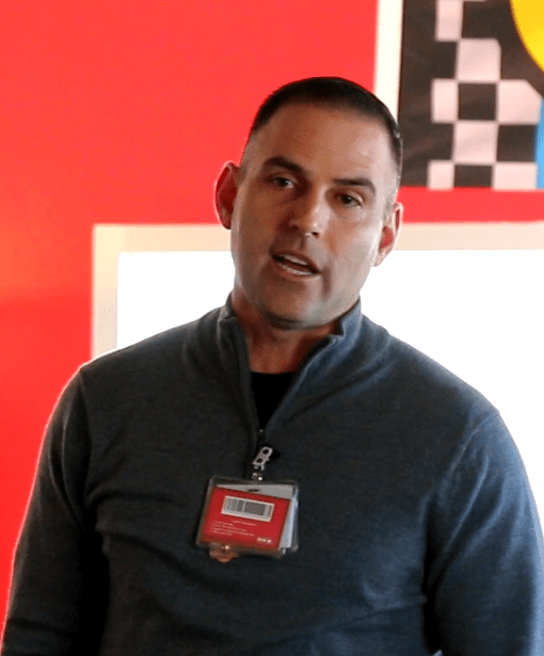 When people make decisions sitting in an office, and they’re disconnected from what they’re managing, it leads to bad decisions,” Taubman said. A third topic of discussion at the committee level is that of involving the RTA in assisting more with providing ADA improvements, which are mandated but not funded by the federal government. “When we looked at the SPMP and overlay processes, we found that 23% of every dollar spent did not go to the street. It went to ADA. This is where the RTA can play a big role,” said Taubman. He went on to say that the RTA can serve their target community and be true to their mission, and every dollar spent on streets will actually go to the streets. 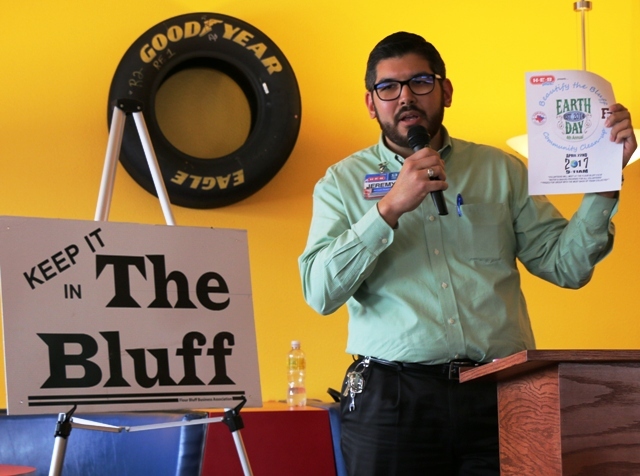 The Flour Bluff Business Association, a task force of business leaders who promote the safety, service, and growth of the Flour Bluff community, welcomed Councilman Chad Magill as its keynote speaker at the January 6, 2016, meeting held at noon at Funtrackers in Flour Bluff. Magill focused on the new year and talked about “big ticket items” for the city. “The EPA expects us to agree to pay $853 million on your wastewater system over the next 12 to 15 years. We can’t afford it.” Magill admitted that the system absolutely needs improvements and that the City has been discussing the issue since 2009. Magill said that part of the reason for his failure to support Destination Bayfront stemmed from the knowledge of the pending wastewater bill. “Anytime we spend 72 million of tax dollars on anything but what we have to spend it on, you have to ask if we can afford it,” Magill said. 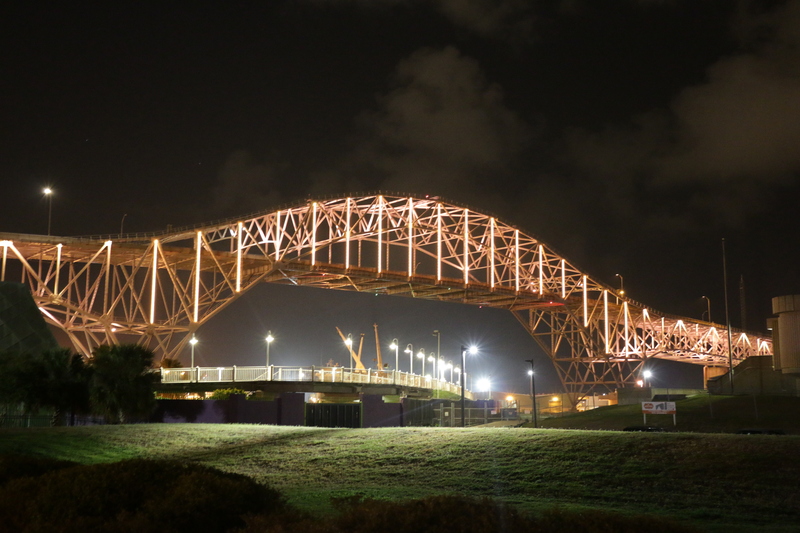 Magill talked about the new harbor bridge and what an amazing feat it was to bring together the Port of Corpus Christi, the City of Corpus Christi, Nueces County, TxDot, and a number of local organizations and finally settle upon the building of a billion-dollar bridge. He praised the efforts of Representative Todd Hunter who was “a champion for the bridge.” Magill said that the new bridge should be looked at as an essential part of economic development for the area and that construction should begin as soon as 2017. Magill explained that zero-based budgeting will require City departments to justify spending tax dollars by aligning the spending with the mission. “Everyone has to budget where their dollars go. You do it. My wife and I do it. Shouldn’t we expect that of our City government?” He sees it as an opportunity for the department heads to shine. “If they embrace it and do well,” Magill said he would fight for their funding and for them to be successful. Magill then turned to the topic of Flour Bluff and spoke about his desire to get Laguna Shores Road on the 2018 bond. “Every time I’m in Flour Bluff, I drive down Laguna Shores to remind me of the need.” He went on to commend James Skrobarczyk, who was in the audience, for serving on the residential street committee and praised the ad hoc committee for accomplishing so much in a short period of time. He explained that they had uncovered some wasteful practices and inefficiencies in the Street Preventative and Maintenance Plan (SPMP). He offered an example. “Kingsville spends about $2.50 per square foot on overlays while Corpus Christi spends $8.00 per square foot for the same work.” When asked how that could be, Magill said, “Part of it is inefficiencies of government; part of that is multiple inspection layers; part of that is – frankly – writing contracts that allow contractors to make ‘obscene amounts of profit.’ ” He told the FBBA that he would love to speak to them again in June or July to fill them in on the recommendations from the street committee and how the City will move toward zero-based budgeting. When asked if Council member Colleen McIntyre’s proposal last year to raise property taxes by 8 cents to pay for residential street construction is the only form of funding available, Magill said, “The Caller-Times reported that 8 cents of ad valorem property taxes per year would raise $20 million, when in actuality, it would raise $13.6 million.” After texting Ron Olson that his numbers were wrong, Olson came back a couple of days later and agreed Magill was correct in his calculations. Precinct 4 County Commissioner Brent Chesney and ad hoc street committee chairman Andy Taubman have the same thought as Magill about the RTA redirecting more funds to the streets. New RTA chairman, Curtis Rock, has not officially weighed in on this possibility. a petition against the facility with 700 signatures from residents who live near the proposed site on Flour Bluff Drive. He also discussed the positive aspects of privatization of City services and used the municipal golf courses as an example of how privatization has improved the quality of the golf courses while saving the City money.